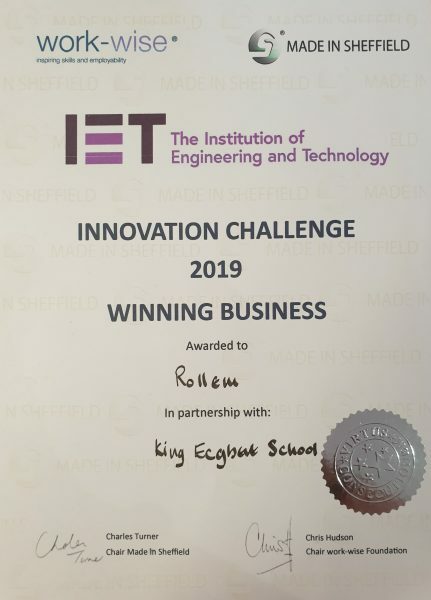 Rollem teamed up with King Ecgbert’s School in Sheffield for the 2019 IET (Institution of Engineering and Technology) Innovation Challenge run by The work-wise Foundation. The annual challenge sees a business set a team from the school a real workplace problem to solve. The team have three months to come up with a solution with the end result being put on display at the annual Get up to Speed with STEM event at Magna in Rotherham. A team of industry judges then awards the winners trophy on the day. Rollem are an international manufacturer of print finishing equipment, the challenge for the students was to design a change to their machines to enable an SRA3 sheet to be cut in 2 directions by turning the sheet so that the finishing equipment could be in one line instead of the usual L-shape. Thus saving the customer floor space whilst maintaining high standards of accurate cutting. 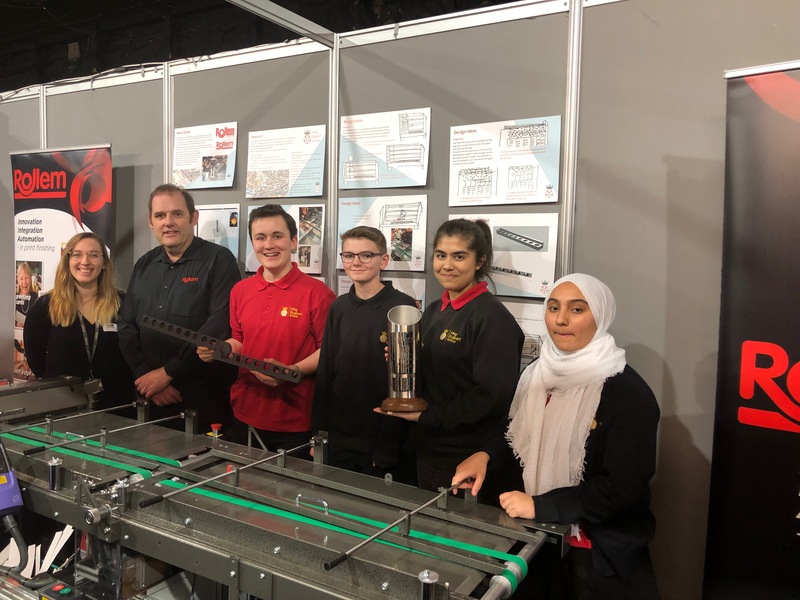 This year’s winners were L-R Y10 students Theo Holmes, Louis Fletcher, Saba Nabi and Rumaysa Rabbani, (pictured above) with their Design and Technology teacher Beth Hastings and Rollem’s Managing Director, Stuart Murphy. 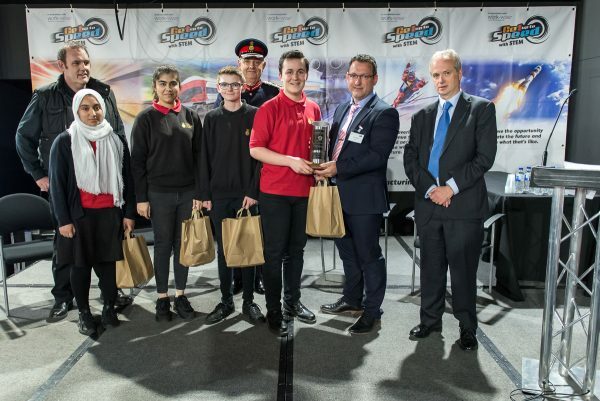 The students from King Ecgbert’s School (pictured above) receiving their trophy at the annual Get up to Speed with STEM event on Wednesday 27th March 2019 at Magna Science Adventure Centre in Rotherham. L-R are Stuart Murphy, Managing Director or Rollem, Rumaysa Rabbani, Saba Nabi, Louis Fletcher, HM Lord-Lieutenant of South Yorkshire Andrew Coombe, Theo Holmes, IET’s Regional Chairman, John Lawrence and member of the judging panel, Richard Edwards.